That’s insanely twisted… What’s the betting the CIA have a stake in FB (or at least a legally binding order against the company stating full access rights are to be available at all times)..?Apparently there’s a joke running in the intelligence services – at least in England – that there is no need to spy on people any more, as the people simply tell everyone what they’re up to all the time anyway, via FB and Twitter. Seems that ‘they’ really can access anything, anywhere nowadays. I will be deleting the FB app from my (thankfully old, non-smart) mobile phone; though I suppose there’s a chance they’ve already got me to agree to such terms in the last update, which I applied to the phone when I bought it second-hand, back in November 2012. I no longer have a “smart phone” or a regular facebook account. I noticed the same thing when I had facebook on my old smartphone,.. actually I threw the phone out the window and haven’t had a smartphone since. 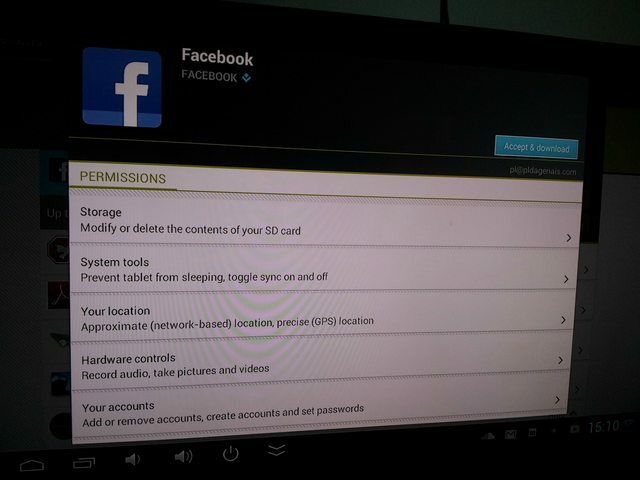 Basically you are giving facebook permission to know every move you make, and person you are in contact regardless of if you are signed into facebook or not. Yeah, it wouldn’t surprise me if Facebook is just another Secret Gov’t Tool to watch and monitor us. Facebook/Big Brother is watching you!…… welcome to 1984! 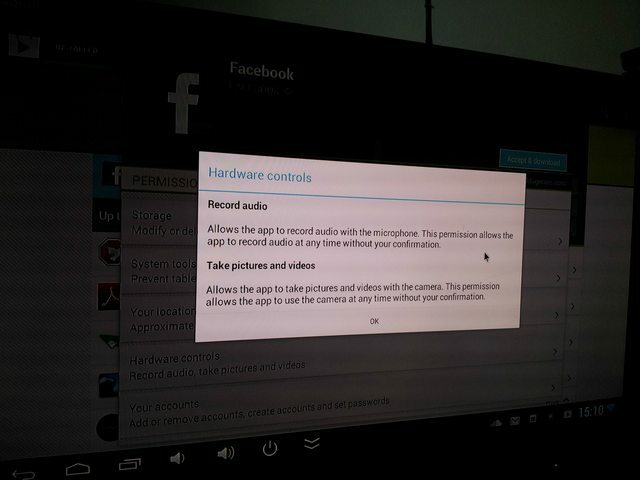 Again, they’re asking for your permission to record audio & video at any time, without your confirmation. This is word for word. Of course they will sell it to you for a new cool feature, but you still gave them the right to record you at any time, without any kind of input from you or any confirmation it is doing it. Unless you force quit the app on Android, it always sits in the background to update your notifications. Thanks for posting this, it just goes to show how pervasive Facebook has become. I joined in 2007 and it was a really cool site at that time, but since then it has become Big Brother’s best friend. I have no doubt this was the end goal from day one, I just didn’t know it then. Their cute little “Like” button has now infected the internet like a cancer that I wish I could destroy.I logged into FB a few days ago, first time since 30 Nov last year, and it took ages to load with all the ads and God knows what else was loading (I have to use IE as my Firefox will not load at all, even when I allow all my security addons to run FB). I’m seriously thinking of sending an email to all friends and saying I’m done with it. I hope this BS audio recording etc. isn’t integrated into their website now. I unplug my webcam when not in use, so I’m ok with it, but what about the average Joe. NoScript gives you the option to allow any scripts on a webpage to load, before it just automatically does. Ghostery is brilliant in my opinion as it lists all 3rd party tracking cookies and blocks them on webpages, and BOY is FB blocked A LOT! Collusion will show you how all your websites that have been visited are sharing your data. I also disallow all cookies in FF options, only allow the ones I deem necessary in my exceptions list, like banking. It’s become ridiculous how much BS one has to do nowadays just to browse safely. Anyway, enough of my rambling, thanks for your post OP it is much appreciated. The next thing we will have to worry about is the SMART TV BS and how that is going to affect us…..